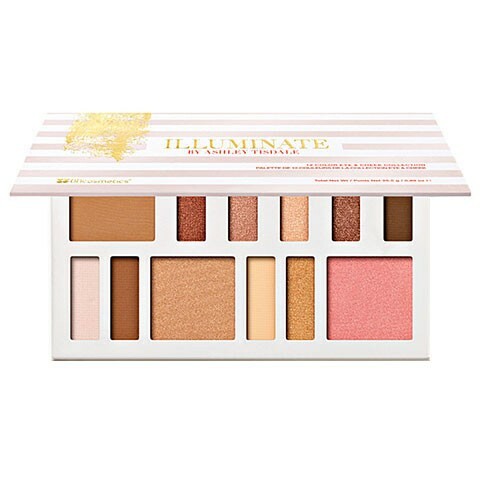 Paleta 12 odstínů na oči a tvář pro plážový look z kolekce Illuminate od Ashley Tisdale. 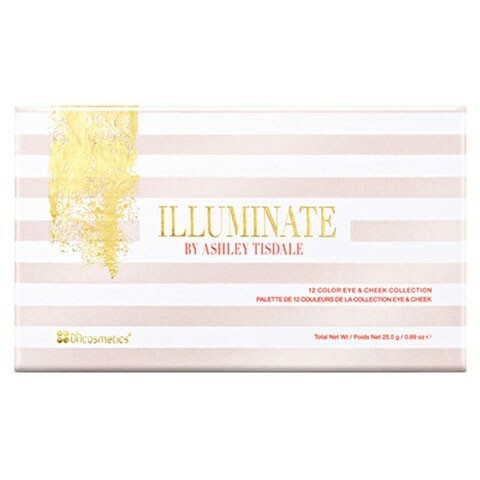 Paleta 12 odstínů na oči a tvář pro plážový look z kolekce Illuminate od Ashley Tisdale. 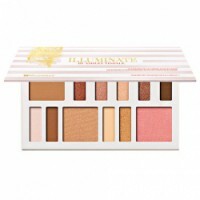 Paleta BH Cosmetics Illuminate by Ashley Tisdale Beach Goddess obsahuje 9 očních stínů doplněných tvářenkou, bronzerem a rozjasňovačem v teplých třpytivých, matných a metalických odstínech pro vytvoření romantického zářivého back-from-the-beach looku. I bought this a while back but totally forgot to review it. I love this palette to be honest. For my taste, it's a perfect everyday palette to enhance my eyes. I prefer using these with a wet brush though to bring out the color even more. Using an eye primer and rose water on the brush seems to make it last throughout the day for me. The colors are just beautiful. I have yet to receive anything i dislike from bh cosmetics. In the picture attached, I only used this palette. On my lips I am wearing their color lock long lasting matte lipstick in Dark rose. I love this product! and the colors are AMAZING! It applies very easily, and lasts all day long. I work 10-14 hour days, and my eye shadow looks just a good when I get home as it did when I went in for the day! The colors are beautiful and look just as good on as they do in the box! I love the browns because they make my blue eyes pop. My fave colors the pink, the blue, the gold, and the split eye shadows. Won this in a giveaway/contest.